Organic Valley is set to become the largest the largest U.S. food supplier and the first Wisconsin business to go 100% renewably powered. The LaFarge-based dairy cooperative unveiled plans last week to partner with a municipal power supplier to acquire renewable energy credits (RECs) from several solar arrays to be constructed and energized next year. When the arrays are operational, Organic Valley will be able to supply all of its Wisconsin operations with wind power and solar power generated in the Dairy State. With this announcement, Organic Valley joins a rapidly growing roster of companies that have committed to powering their entire operational footprint with renewable energy. 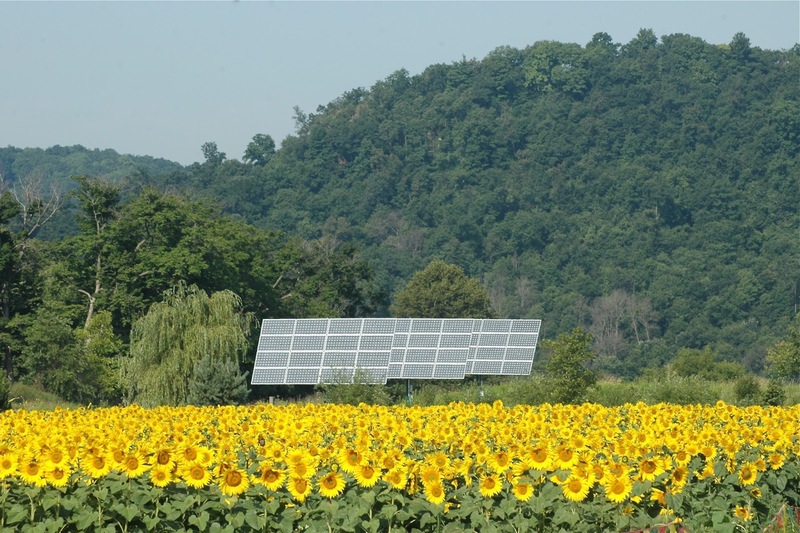 Organic Valley’s REC purchase will provide financial support for the development of 12 megawatts (MW) of new solar capacity in western Wisconsin. Though the electricity from these arrays will flow to member utilities in the Upper Midwest Municipal Energy Group (UMMEG), the contract enables Organic Valley to count that solar output towards its own renewable energy goals. Both UMMEG and the solar developer, OneEnergy Renewables, are working to attract other potential REC purchasers to achieve a total project build-out of 29 MW. “The cost of electricity is going to be reduced over the life of these systems for everyone in these communities," said Stanley Minnick, energy services manager at Organic Valley. 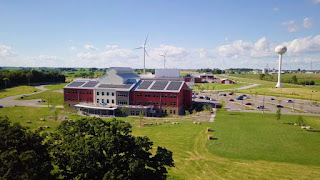 Until this announcement, Organic Valley’s investments in local renewable generation had taken the form of rooftop arrays on its LaFarge and Cashton facilities and a two-turbine, five MW wind power installation adjacent to its Cashton distribution center. Today, those facilities account for about 60% of Organic Valley’s electricity usage. But to attain a goal of 100% renewable energy for its operational footprint, Organic Valley needs to expand its renewable energy supplies beyond what can be produced from its behind-the-meter installations. Organic Valley’s arrangement with UMMEG and OneEnergy Renewables purchase is emblematic of a broader trend among U.S. corporations and institutions, namely the purchase larger quantities of renewable energy or REC’s from new off-site generators. Indeed, there is clearly a growing comfort level among utilities and independent developers to supply both corporate and residential customers with solar power generated from off-site solar facilities. 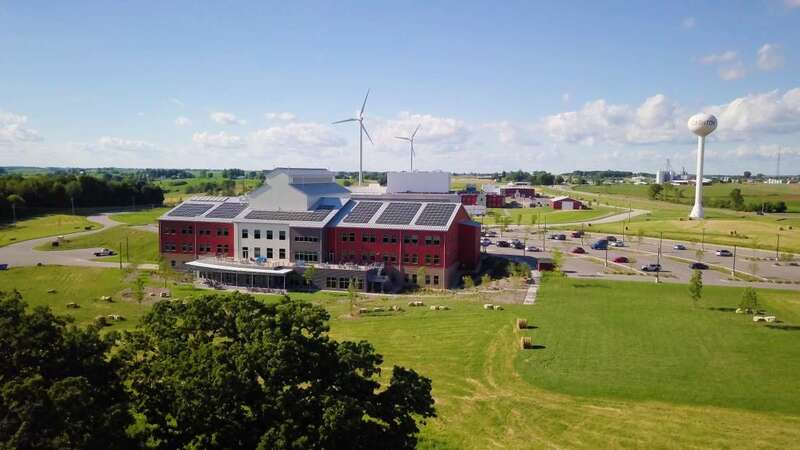 In addition to increasing its own use of renewable power and helping farmers in its vendor network invest in wind and solar energy, Organic Valley is a sponsor of RENEW’s annual energy policy summit held in January in Madison. A RENEW business member, OneEnergy Renewables has committed to landscape each of the project arrays with native grasses that will provide a home for bees and butterflies. In addition to its solar venture with UMMEG and Organic Valley, the Seattle-based solar developer will also build a one megawatt solar garden in Cashton in 2018 to supply the community solar program offered by Xcel Energy’s Wisconsin utility.